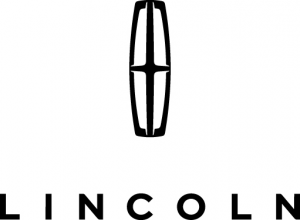 Don't miss out on this 2016 Lincoln Lincoln MKZ Base! It comes with a backup sensor, push button start, remote starter, backup camera, blind spot sensors, parking assistance, Bluetooth®, a navigation system, a leather interior, and dual climate control for an even better ride. It has a 6 Cylinder engine. We've got it for $21,956. It also includes Complimentary roadside assistance is available 24 hours a day, seven days a week, 365 days a year. As part of our 200-point inspection, a vehicle history report is run to identify any vehicle that doesnt meet our standards. This vehicle also comes with 100,000 warranty miles, and 6 warranty years and has been subjected to a rigorous, 200 -point inspection for condition and appearance. With a crash test rating of 5 out of 5 stars, everyone can feel secure. Rocking a sleek silver exterior and an ebony interior, this Car is a sight to see from the inside out. It has great mileage with 18 MPG in the city and 27 MPG on the highway. Enjoy the ease and comfort of having power lumbar seats. A simple click can lock and unlock your vehicle with keyless entry. Interested? Call today and schedule a test drive! Contact Information: Reineke Ford Lincoln of Lima, 1360 Greely Chapel Road, Lima, OH, 45804, Phone: (419) 223-3673, E-mail: matt.holtsberry@yahoo.com.